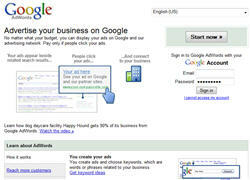 "Are you sick & tired of figuring out on how to use Google Adwords™ to promote your products & services?" "Here's How You Can Run Your Advertizing Campaigns Using Google Adwords™ Pay-Per-Click System With These Step-By-Step Video Tutorials"
"In Just A Few Hours Following My Step-By-Step Online Video Tutorials, I'm Confident You Will Be Able To Start Running Adwords™ Campaigns That Bring In Traffic To Your Website"
PLUS -- Get This Special Bonus If You Order Today! 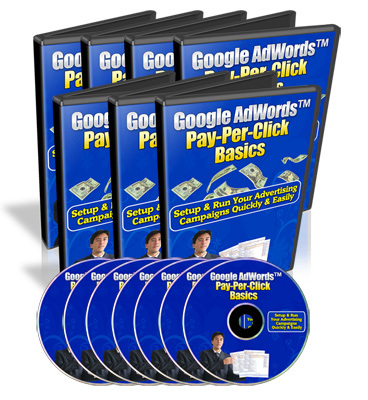 Suppose you could learn detailed step-by-step video tutorials on how to run your advertizing campaigns using Google Adwords™ Pay-Per-Click system. Sounds too good to be true? Well, it isn't if you have the right learning tools & step-by-step video tutorials. It could take you many days and weeks and can even cost you a small fortune to figure out just the right combinations to make that installation and setup work - while others fall flat on their face. But instead of knocking yourself out trying to come up with just the right learning tools, you can now have an entire collection of my hard-hitting online video tutorials for your, ready at your beck and call. This video walks you through the steps of signing up an account and how to create your first Pay-Per-Click campaign. This video walks you through the steps of the Campaign Settings. 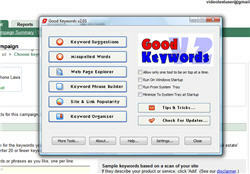 This video explains on how to build & manage your keywords effectively. This video walks you through on how to create your ads in your account. This video shows you how to create new adgroups. This video briefly explains on how to do tracking of your keywords & adgroups in order to find out which of them are profitable and which are not. Why spend the next weeks and months trying to figure out all of the steps it takes to get things going properly -- when you can watch someone show you exactly how to take action and get your Adwords™ campaigns up and running today? With these videos, you'll be able to watch them directly from the computer screen itself! I'll Top Up Your Fool-Proof Passport To Success With My Unconditional 100% Iron Clad Money-Back Guarantee! Also, if at any time whatsoever within the next 8 weeks, you feel for any reason that our product fails to live up to my promise, simply let me know and I'll immediately give you a 100% refund of your purchase price, no questions asked. Is that fair or what? That means you can try out all the videos at my risk, while you see if they work for you or not. And if they don't produce, I honestly want you to ask for your money back. Wait! I'm Not Done Yet! I'll also give you a generous Full Master Resale Rights to this very package so that you can put your investment back in your pocket with ONLY 1 Sale! 1. The suggested selling price is $17. You can sell it at any price you like. You can also give it away for free if you want. 2. You may include it in any other "package" deal, paid membership site, or as a bonus item. 3. You may edit the website sales letter as long as the the product is not misrepresented in any way. 4. You MAY NOT change the course itself in any way, nor may you sell the videos separately from the ebook. You must only send the exe. ebook file to your customers. 5. You MUST setup this product for order processing on your own webpage. Please DO NOT send any of your customers to our download location. The ebook download link, and the "thank-you" page must be hosted at your own website and orders processed from there. Only the videos will be hosted on our server. That means you only need to send your customers to the download location of your ebook. That being said and done, all that remains is for you to put the video tutorials into action. The ball is now in your court, click on this link to download your videos. Yes William Buck! I want to be able to set up my own Google Adwords™ campaigns so that I can start saving money and get them up and running qucikly. Please give me immediate online access to Google Adwords™ Pay-Per-Click Basics! 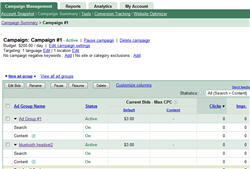 I understand that I will receive the Full Master Resale Rights To Google Adwords™ Pay-Per-Click Basics! I'll be able to use the same sales copy and website design, and keep ALL the profits for life! My investment could potentially pay off hundreds of times, and possibly in the next few hours! I understand that this offer has a 8-week ironclad money-back guarantee. I have 8 weeks to review Google Adwords™ Pay-Per-Click Basics and if it does not deliver what it promised, I can return it for a prompt and courteous refund. I also understand that my credit card will be charged $17. I aknowledge that by clicking on the download link below, I have read and agree to the terms and conditions below. Note: This product is compatible with Windows operating systems only. To read the 'Frequently Asked Questions', click here. P.S: Just think! You’ll never again suffer through the pain and hassle of trying to figure out how to set up your Google Adwords™ campaigns. Now, you can get these tutorials all shown for you, practically handed to you on a silver platter. You simply watch the videos at the comfort of your home...and you’re practically done in a few hours! P.P.S: Remember that you've got nothing to lose with my 8-week ironclad money-back guarantee. You have 8 weeks to review Google Adwords™ Pay-Per-Click Basics and if it does not deliver what it promised, you can return it for a prompt and courteous refund. P.P.P.S: Look at it this way -- $17 is really a painless drop in the bucket compared to the time & money you're going to waste trying to figure it our all by yourself. Disclaimer: The statements and examples on this website are not intended to represent or guarantee that everyone will achieve the same results. Each individual's success will be determined by his or her desire, dedication, marketing background, product, effort and motivation to work and follow the video tutorials. There is no guarantee you will duplicate the results stated here. You recognize any business endeavor has inherent risk for loss of capital.